Minister Yaakov Margi slams the Kibbutz (cooperative community) movement for illegally selling land as burial plots. Minister of Religious Services Yaakov Margi has condemned the kibbutz (cooperative community) movement for illegally selling state land as burial plots. Margi ordered a ministerial committee on burial to take action to fight the phenomenon. 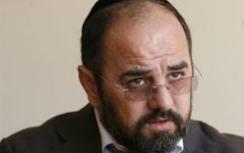 The minister also suggested that his ministry create a body responsible for overseeing burials in Israel. Many kibbutzim operate private cemeteries, which charge high sums – from 7,000 to 24,000 shekels – for each burial plot. The cemeteries also take 3,500 shekels from the National Insurance Institute for each burial. Officials in the Ministry for Religious Affairs accused the kibbutz movement of failing to set up civilian cemeteries like those in most Israeli cities, despite being provided with funding to do so. The land being used to operate private cemeteries in kibbutzim was allocated as agricultural land, Margi said. “These lands are not intended to be used for burial, and using them for such aggravates the land shortage,” he charged. "The ones losing out are Israeli citizens, who are forced to pay overly high rates for a grave,” he said. Besides discussing the problem of private kibbutz burials, the committee also discussed the possibility of burying multiple bodies in each gravesite in order to maximize the use of burial space.